America's Pharmacist®, the official magazine of the National Community Pharmacists Association (NCPA), reaches every independent pharmacy in the United States—nearly 22,000 locations. Use your NCPA member ID and password to access this month's issue. Looking for an issue? The issue archive is a collection of America's Pharmacist® back issues, available to NCPA members only. It contains files in PDF format. 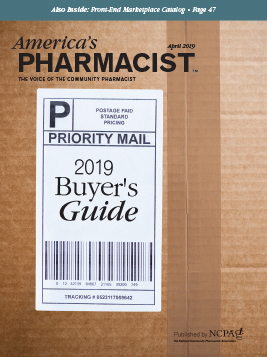 As an NCPA member, if you would prefer to simply access America’s Pharmacist online and to opt out of having the print edition of America’s Pharmacist delivered to you, please contact us.